With the Edition Writing-desk of Ubuntu you can sail in the Web, read email, create documents and lists of calculation, publish images much more and. Ubuntu has a fast and easy graphical installer in the CD of the Writing-desk. In a common computer the installation takes less than 25 minutes approximately. When you initiate your system for the first time, you will see a cleared and ordered writing-desk, without icons in the writing-desk, and with an attractive subject to the eyes. Once Ubuntu is installed, all the basic one is in its place and thus your system could be used immediately. It opens easily, it publishes and it shares archives with your friendly that have Microsoft Office, Word Perfect, KOffice or StarOffice. The bar of tasks contains an area of updates where it will be notified when there are updates available for your system, from simple arrgeglos of security to an update of complete version. The update facility allows that you just by have your system to the day a few clicks of your mouse. Necesitás more software? Simply it chooses between thousands of software packages in the catalogue of Ubuntu, all available one to unload and to install pressing a button. And everything is completely free! You will be able to find aid using the navigator of archives or online. If you have a question about the use of Ubuntu, you can bet that somebody already has asked it. Our community has developed a documentation rank that can contain the answer to your restlessness, or to give new ideas exceeds where to look for you. In addition you have access to provided gratuitous support by the community of Ubuntu in the chat and the lists of mail and many languages. Alternatively, podés to acquire professional support to Global Canonical Support Services Team, or to local suppliers. Ubuntu aims at being U.S.able by the greater possible amount of people, thus it includes the best infrastructure of location and accessibility that the community of free software must to offer. Podés to unload Ubuntu, or to free request a CD to Canonical. 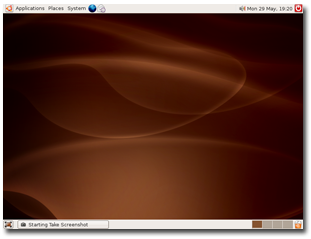 Ubuntu is available for architectures PC, 64-Bit and Mac. The CD requires by 256 memos Megabyte of RAM. The installation at least requires 2 GB of space in disc.